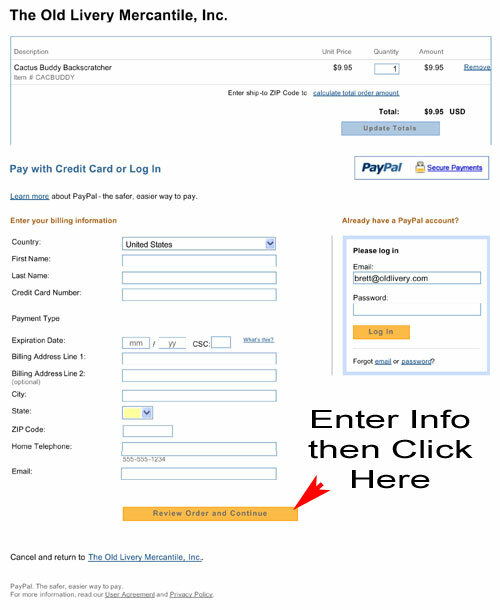 Credit Card processing for our online store is provided through PayPal. 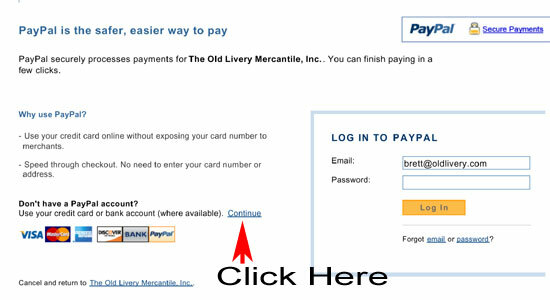 This does not mean that you must have a PayPal account to purchase items from our store. Recent changes to the checkout screens seem to be confusing people. We're more than happy to walk you through this process, and we are working to ensure that future upgrades to the checkout pages will provide a smoother process for non-PayPal members. All you have to do there is enter your information and click Review & Continue. Follow the instructions after that and you're done! If for any reason you are uncomfortable with this process, you can print out your shopping cart and give us a call. As long as you have a description and the item numbers, we can put your order together and take your information over the phone. We're here to help.